First class original condition. Interior immaculate with little wear on seats, headlining needs replacement. Registered in 1981 by Home Park Garage in Kingston, Surrey. Fitted with Saab Water Injection giving horsepower of circa 170bhp. I bought car in 1985 with 8900 miles from fanatical first owner. Has been garaged all it's sheltered life. Is this the lowest mileage 99 Turbo 2dr in the UK? XGT 653W is the second 99 Turbo 2 dr in Red I have owned. 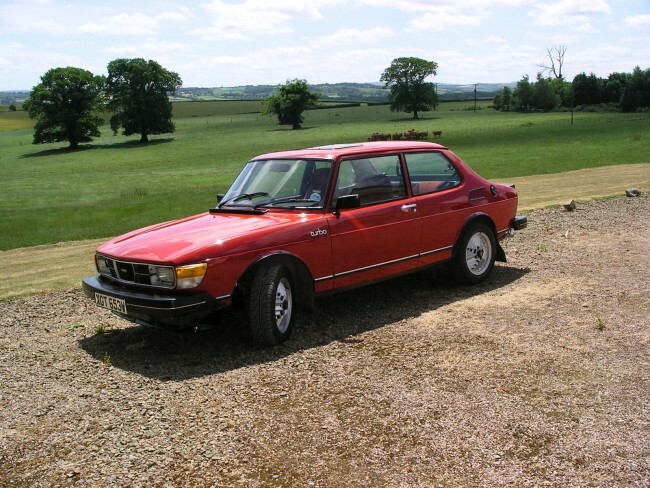 I wonder what happened to the first JAP 962V - Registered in late 1979 as an original test car fro Motor Magazine, I sold it on to someone in Inverness Scotland in about 1983.